Philip Golding won the Staysure PGA Seniors Championship by equalling the course-record with a nine under par round of 63 at London Golf Club. Golding started his surge with four birdies in his first five holes, before he gained another shot on the seventh hole to make the turn in 31 strokes, five under par. The 2017 Travis Perkins Masters winner began the day five groups ahead of the overnight leaders Santiago Luna and Greg Turner, and after the turn he continued to apply the pressure as the duo faltered in the heat. “It’s an honour to win the Staysure PGA Seniors Championship,” he said. 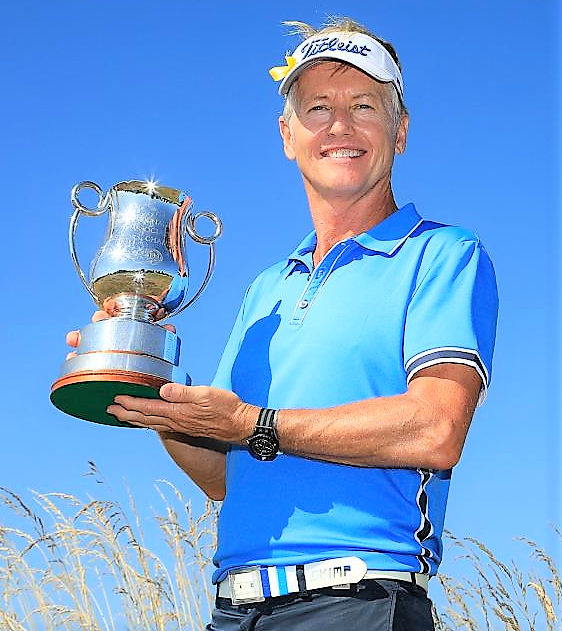 “It’s the 60th anniversary of this event, so I’m privileged to win this trophy and be associated with the PGA Seniors title and its past champions.